On February 14th the Pet Shop Boys appear at the Brit Awards, performing 'Go West' dressed as miners, backed by a Welsh choir, an idea which they had originally conceived for the 1992 Royal Variety Show as a protest against a wave of coal pit closures. On April 4th 'Liberation' is released as a single. "The song", says Neil, "is trying to reconcile the idea in a relationship that you are liberated, because you feel fabulous because of the love, with the idea that you also feel constricted and obligated. It's one of my 'live for today' songs". 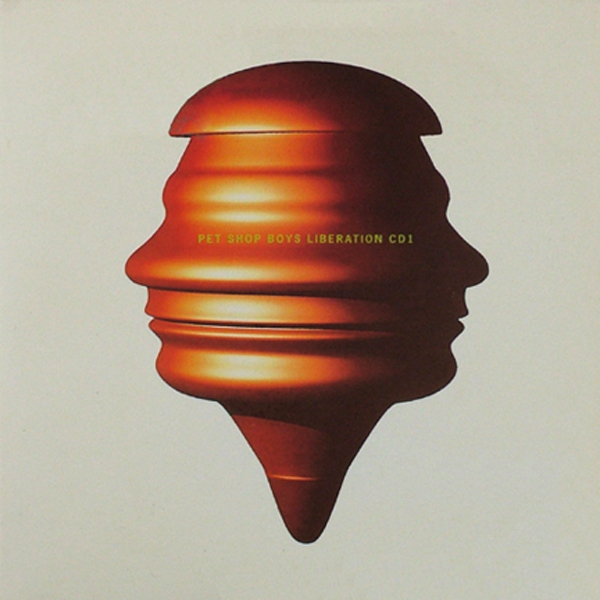 In the video, the fourth of their computer enhanced collaborations with director Howard Greenhaugh, the Pet Shop Boys appear almost entirely as computer generated entities. During April a virtual reality ride based around the video tours Britain's major cities. 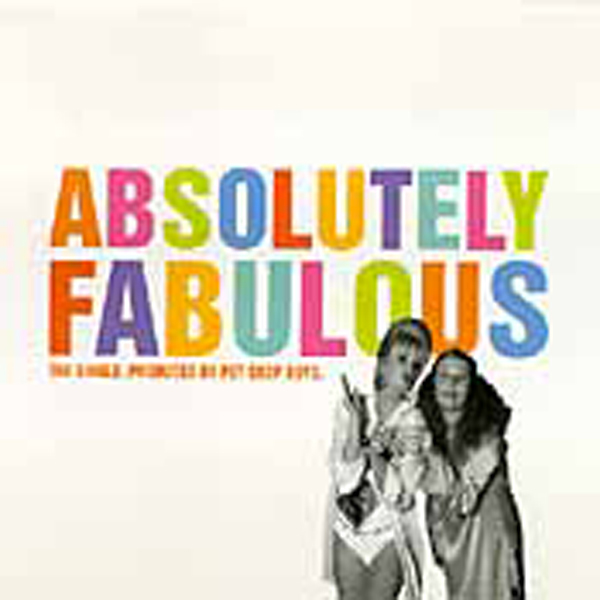 On May 31st, a single 'Absolutely Fabulous' (the artist's name, too, is nominally Absolutely Fabulous) is released. It features snippets of dialogue spoken by Jennifer Saunders and Joanna Lumley, from the TV series Absolutely Fabulous, set to a Pet Shop Boys euro-disco backing track (Jennifer Saunders also went into the studio to add some further irreverent chatter, such as "techno, techno bloody techno" and "it's the bloody Pet Shop Boys sweetie"). "We had the idea because we liked the programme so much", says Neil. "We thought it would make a funny record, and we quite fancied meeting them". The record's profits are donated to the British Charity Comic Relief. "I know some people are horrified that we did a charity record", says Neil, "but it just seemed a way of dealing with it. It made it simple, because we did the record for fun, not as a major artistic statement". The first ever mix the Pet Shop Boys have done of another artist's record – Blur's 'Girls and Boys' – is released. (In Britain it appears on Blur's 'To The End' single; in some other countries it is released in it's own right). They did it because they thought it would be fun. "And", says Chris, "we thought it could be more of a dance track". 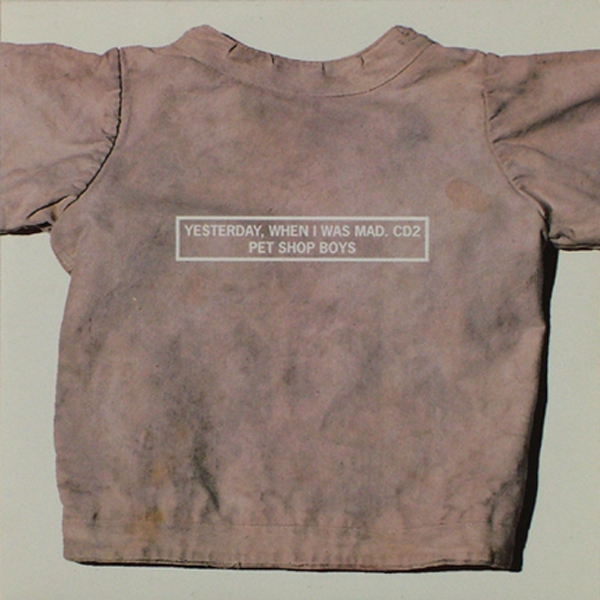 'Yesterday when I was mad' is released as a single on August 29th, in a new version remixed by the Pet Shop Boys and Julian Mendelsohn. "I started the words on the last tour", remembers Neil, "on the tour bus when I was in a bad mood, and it was just about the kind of things people say to you after the show. On tour it's very difficult to believe in anyone's sincerity. You get quite a lot of damning with faint praise, and it struck me it would be quite a funny idea for a song just to have lots of bitchy remarks which drive you mad. I don't think anyone's actually ever said to us 'you've made such a little go a very long way', but we do tend to get patronizing reviews. As for the competition winners, hotel rooms and arguing about dinner, see 'Pet Shop Boys versus America'." 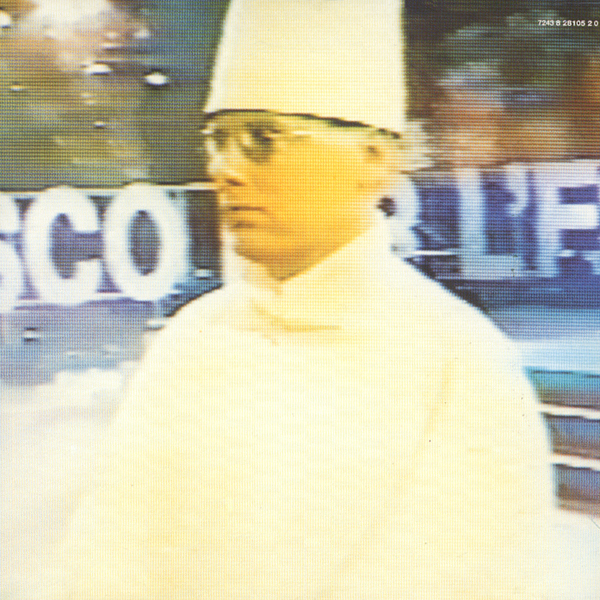 On September 12th, the Pet Shop Boys released 'Disco 2', a mid-priced sequel to their 1986 dance album 'Disco'. Edited together by London DJ Danny Rampling, it is a continuous mix of dance versions of their six most recent singles (including 'Absolutely Fabulous') and also incorporates 'So hard' and the celebrated B-side of 'Being boring', 'We all feel better in the dark'. "It's really good for driving to, and getting ready to go out to", says Chris. On October 26th the Pet Shop Boys begin their 1994 tour, 'Discovery', in Singapore. Over the next six weeks they play concerts in Australia, Puerto Rico, Mexico, Columbia, Chile, Argentina and Brazil. The tour is inspired by a trip Chris made to Brazil in the summer, and by a July visit the Pet Shop Boys made to the Sound Factory in New York where they saw go-go dancers cavorting to the music, covered only by flimsy American flags, whilst live percussionists played along to the records. The performers include four dancers (Flavio Cecchetto, Mirelle Diax, Paulo Henrique and Nicole Nisiotis), two percussionists (Liliana Chachian and Oli Saville), an additional singer (Katie Kissoon) and their regular in-studio programmer, Pete Gleadall, who also plays guitar on 'Suburbia'. As well as a selection of Pet Shop Boys songs from throughout their career, they play Blur's 'Girls and Boys'. By the end of the tour there are four medleys: as well as 'Where the streets have no mame (I can't take my eyes off you)', 'One in a million' incorporates 'Mr. Vain', 'It's a sin' merges with Gloria Gaynor's 'I Will Survive' and 'Left to my own devices' contains an extract of the song which becomes the tour's unofficial theme: Corona's 'The Rhythm Of The Night'. "We're much more free spirited on this tour", Chris announces beforehand. "We do what we want. We party on down. It's not a totally choreographed, staged and rehearsed show. I suppose it is more rock 'n' roll in its attitude. You get to express yourself. And take your clothes off". The final date is in Sao Paulo, Brazil, on December 12th.